Rolling With The Punchlines : A Memoir - ubiq bookshop: the best place to buy books! 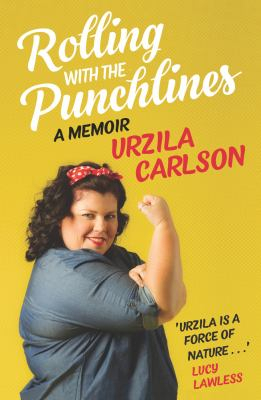 Written with her trademark deadpan humour, Urzila's memoir is full of great stories, about both the big things in life as well as the little things...Urzila first got into comedy when her workmates entered her into an open mic evening which, unknown to her, was a competition that she won. This accidental beginning in stand-up has led her to an incredibly successful career in comedy with regular gigs on television as well as sell-out shows in comedy festivals across New Zealand and Australia...But life hasn't always been a bundle of laughs and Urzila talks about her childhood with a great family, apart from her abusive dad, and about growing up in South Africa. She shares the crazy but true stories from her OE, her move to New Zealand, coming out, getting married and having children, and her life in comedy. This is a great read from one of our most loved and most popular comedians. Featured in the 21 November 2016 New Zealand Newsletter.